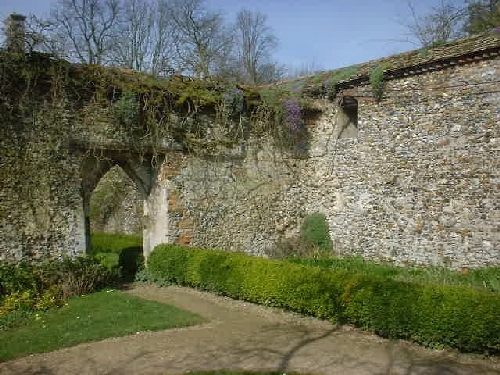 Clare Priory is one of the oldest religious houses in England; situated in the shadows of Clare Castle on the banks of the River Stour, Suffolk. Established in 1248 at the invitation of Richard de Clare it was the first house of the Augustinian (or Austin) Friars in England. 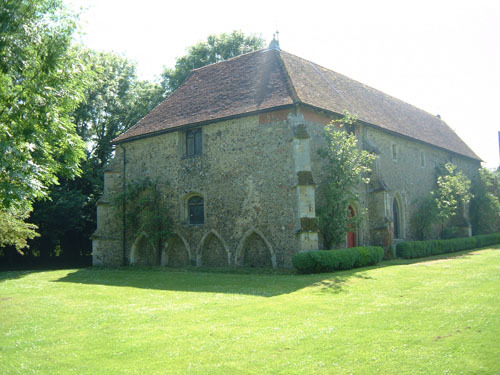 Following its suppression in 1538, the house passed through many hands and uses until the Augustinian Friars purchased the house in 1953 and returned to their origins in England. 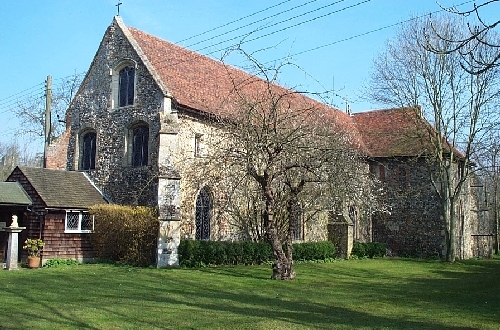 Clare Priory today acts as a Parish and as a Retreat Centre. 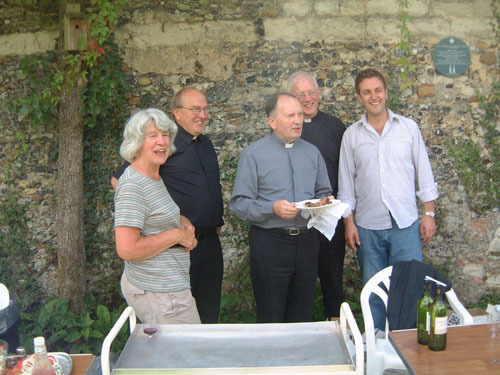 It is the home of a mixed community of Augustinian friars and lay people, open to both men and women, seeking to live the Christian life according to the Rule of St. Augustine. "Before all else, live together in harmony, being of one mind and one heart on the way to God." 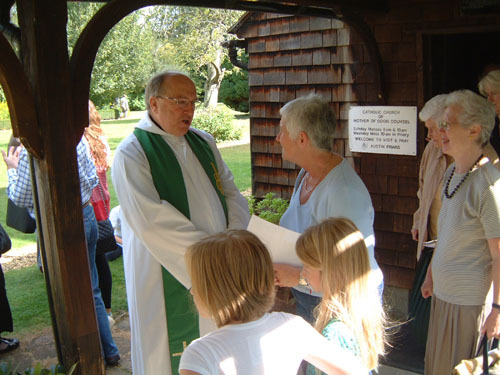 The Community of Clare Priory welcomes all visitors, either to visit our picturesque grounds, ruins and shrine or for Longer Stays; either Individual or Group Retreats. 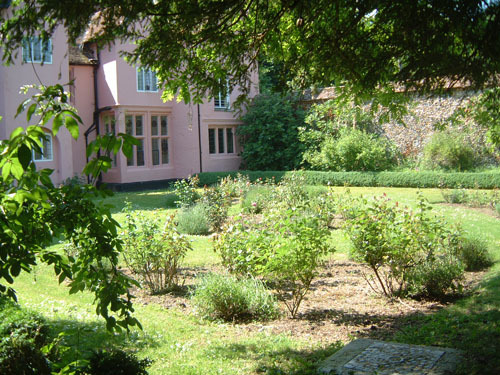 The house was built in the 14th century and remodelled in the 15th. 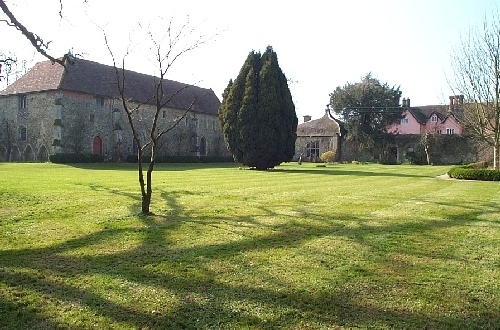 The bays extending into the cloister are additions of the 16th, 17th or 18th centuries. 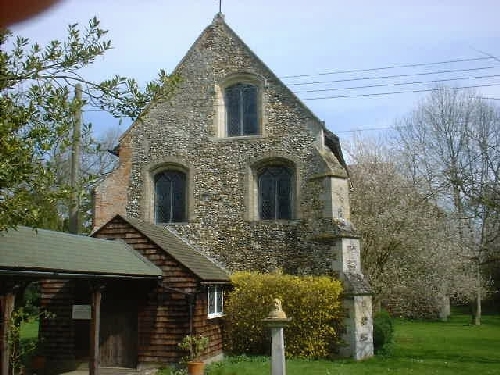 The house contains a number of original features, including the Little Cloister with the Shrine, the vaulted porch, and impressive stone and stained glass work throughout the house. 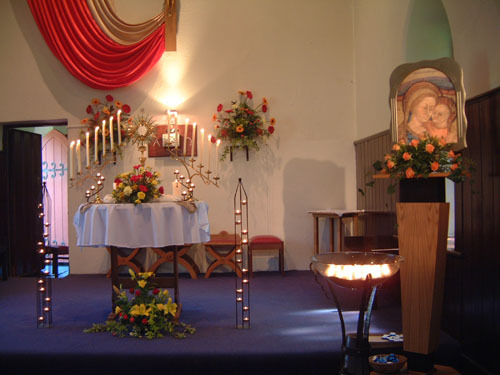 Up until very recently the Church was full to overflowing most Sundays with its limited seating capacity of around 90 people "bursting at the seams". 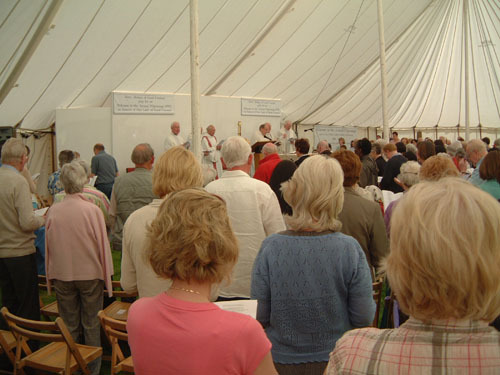 The Sunday 10.00am Mass (the second Mass of three), has typical congregations between 100 - 120 people, peaking at around 160. 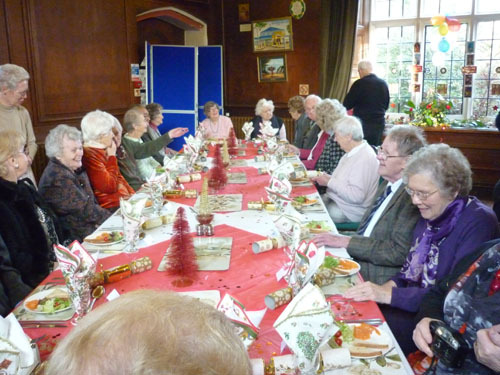 Consequently larger seating capacity was required and a new extension was built with a capacity of 250, the work being completed in Summer 2013. For more details of the extension please click here. 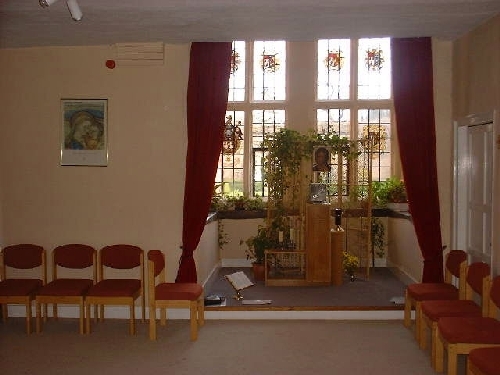 The Shrine is dedicated to Our Lady, Mother of Good Counsel, and is housed in one of the oldest parts of the priory. It contains a relief of the Mother of Good Counsel by the well-known religious artist, Mother Concordia OSB, and is based on the original fresco at Genazzano near Rome. The Priory offers excellent modern retreat facilities in our renovated Stable House, with en-suite and disabled facilities. 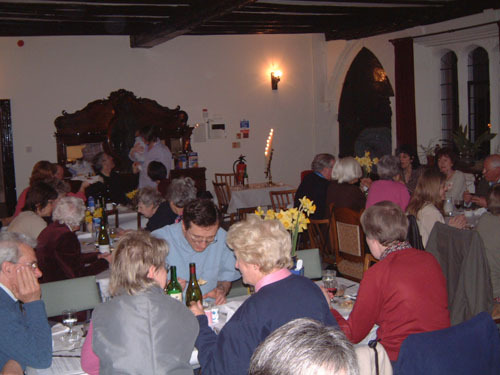 Alternatively you can stay in the Priory, which houses both single and family rooms and rooms for smaller groups. Please contact us for further information. 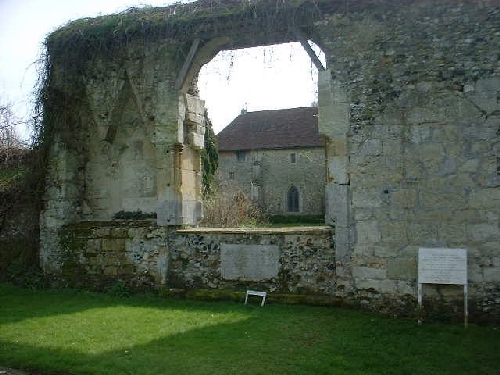 A short distance away is the medieval village of Clare, which can be reached via the footbridge over the River Stour, just outside the north Priory entrance, it is well worth a visit. 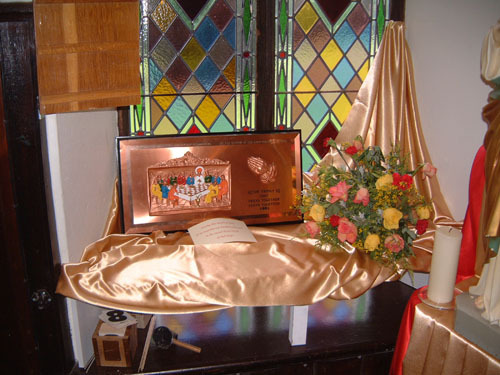 The Parish is twinned with the Augustinian parish of the Sacred Heart in Baba Dogo, a suburb of Nairobi in Kenya. Baba Dogo is a poor area of the city, with a very high level of unemployment and with around 80,000 people crammed into the parish boundaries.